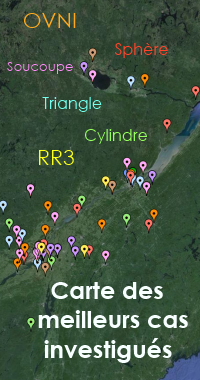 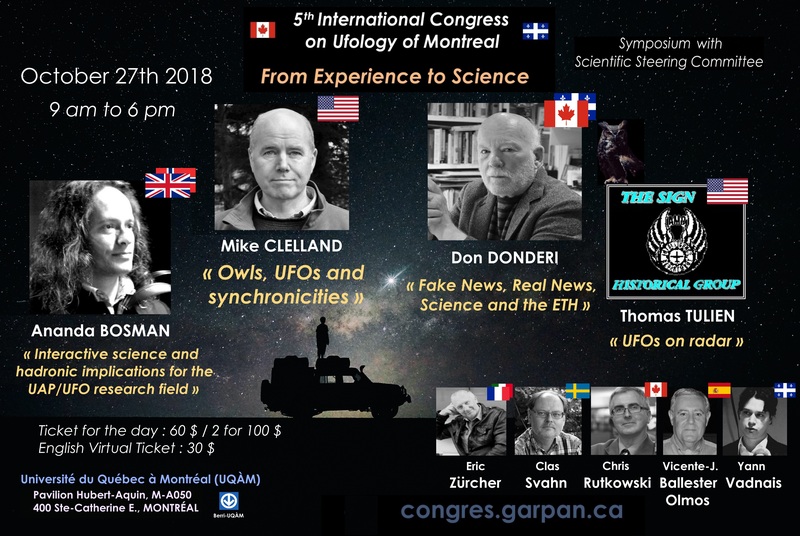 The « 5th International Congress on Ufology of Montreal » will be held October 27th 2018, at University of Quebec in Montreal (UQAM). 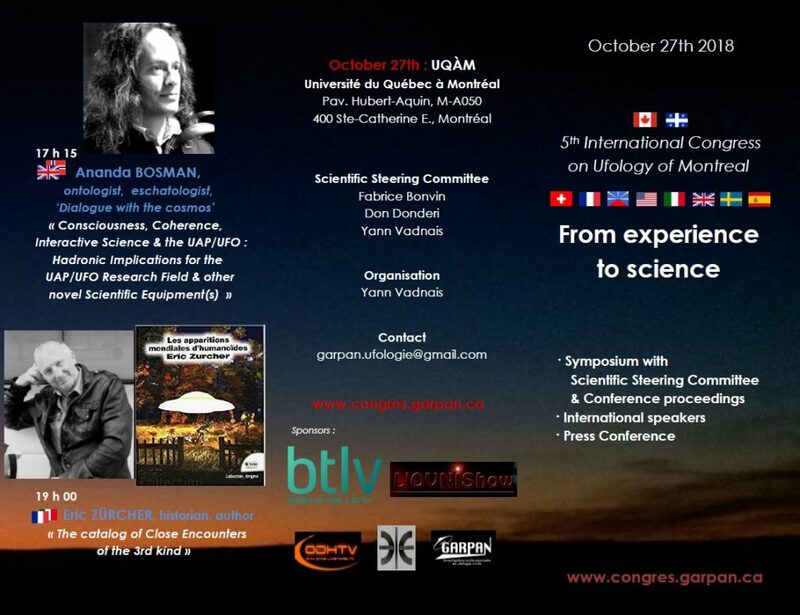 It will gather a dozen of international speakers specialized in that field of research. 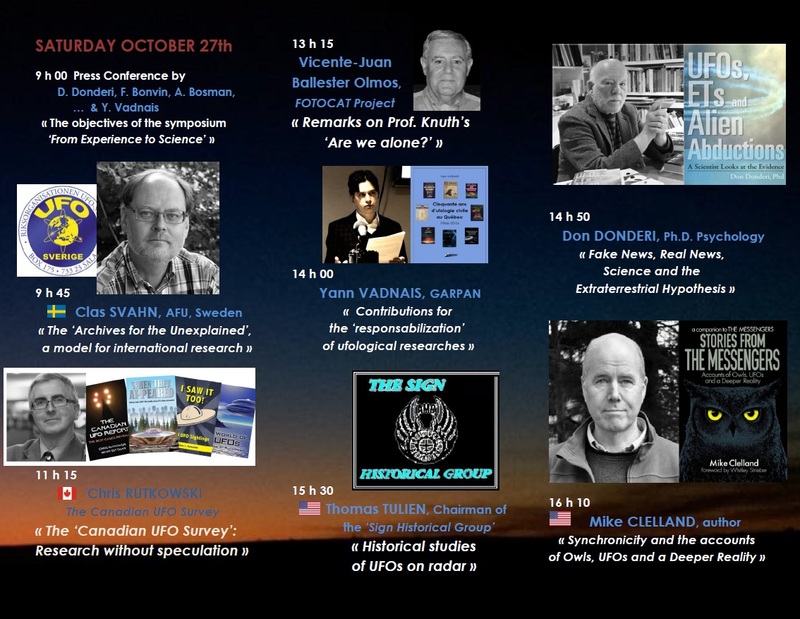 Journalists are invited to assit to the « Press Conference » that will open the event, on the theme of the « Results of contemporary ufology: science versus evidences ».